A shameless plug? Perhaps (okay, very), but with the green flag about to drop for the 11th running of the Dubai 24 Hours, it got us thinking about the races that have been and gone. The very first running in 2006 for instance, in which the Duller Motorsport BMW M3 CSL took victory thanks to superlative efforts from Dieter Quester, Philipp Peter, former 24 Hours of Le Mans winner Hans-Joachim Stuck, and Toto Wolff. Yeah, that last bloke went on to do quite well for himself, didn’t he…? In 2008, torrential rain – in the Middle East of all places – saw early favourites for victory at the Dubai 24 Hours fall by the wayside, VIP Pet Foods coming through to take the chequered flag (and no, we’re not joking about that). Then of course there’s the 2013 race, when the grid swelled above 80 cars and saw no fewer than nine different cars swap the lead 29 times, only for Abu Dhabi Racing to take their second consecutive win on home turf. For crankandpiston.com though, there’s a race that remains quite special to us, and that would be the 2012 race. Not only was it the first time we saw the Nissan GT-R GT3 in action, the first time the all-female RacingDivas team take the green flag, and the then-new Nissan Juke-R on pace car duty, it was also the year we shot our first race highlights video. 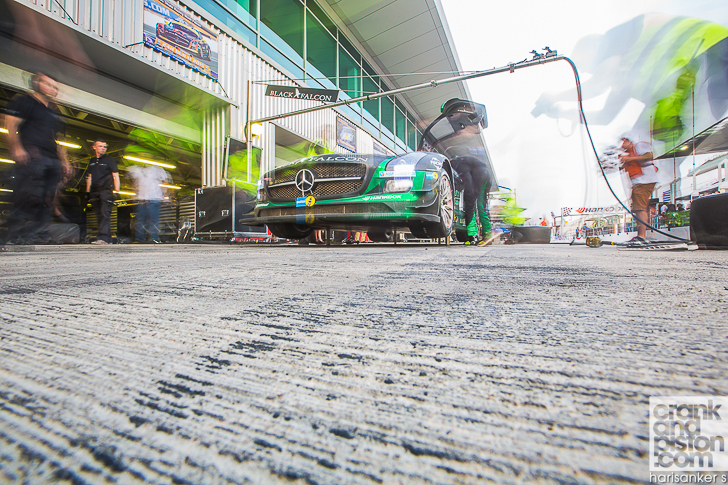 Spoiler alert, the focus is very much on the local boys (including former event winner Abdulaziz Turki AlFaisal) and aided immensely by the Abu Dhabi Racing Mercedes SLS AMG GT3 taking the team’s inaugural win.